More than 30 industry, legal and government professionals will be hosting panels and break out sessions and QA’s with audience. The Florida Medical Cannabis Conference (FMCC), will take place February 22-24 at the Marriott Orlando World Center in Orlando, FL, for the purpose of educating doctors and patients, medical, legal and business professionals, as well as the general public on medical cannabis. The “Patient and Student Cannabis Education Session” on Friday, February 22nd, from 3-6 p.m., will include a discussion with a panel of licensed physicians and medical cannabis users with Crohn’s disease, epilepsy, PTSD, autism, diabetes and other special conditions. Children are welcome. Pre-registration is preferred. Patient consultations for Medical Cannabis Identification Cards are available to early registrants. Patients must book an appointment prior to the conference by calling 239-298-3544. Talk titles such as “Cannabis and the Senior Adult” and “The Role of Cannabinoids in Influencing Human Performance at an Elite Level” will speak to those curious about the benefits of medical cannabis. Featured speakers include physicians and other industry professionals such as legislators, attorneys, nurses, lab techs, and dispensary managers addressing cannabis and hemp laws, pediatrics, dosing, careers, PTSD, lab reports and pain management. CMEs and CEUs are available to physicians and physician assistants. Legislative, Veterans, Business and Regulation, Marketing and Branding, and Cultivation panels will also address common questions and give attendees an opportunity to interact with a panel of knowledgeable and experienced professionals. The Expo Hall will be open each day and allow industry professionals to showcase services and products. The February 22-24 event will be held at Marriott Orlando World Center, 8701 World Center Drive, Orlando, FL 32821. 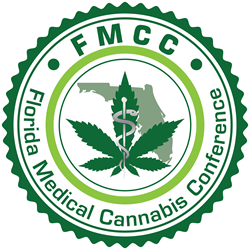 Tickets can be purchased online at flmedicannabis.com or at the conference registration desk. Patient and Student Cannabis Education Session tickets cost $15 (Friday only). Weekend General Admission tickets cost $159. Celsius Marketing Interactive is a full-service national marketing firm based in Fort Myers, FL.